If Teacher Appreciation Day is coming your way, try this project out! Create a gift box using the green cardstock and a personal die cut machine. Accent the top with a mat made from desired print in the stack. Tie a section of twine around the outside of the box as well. Fill with assortment of cards for any occasion. Share this with a favorite teacher! This project is perfect for any time of the year! 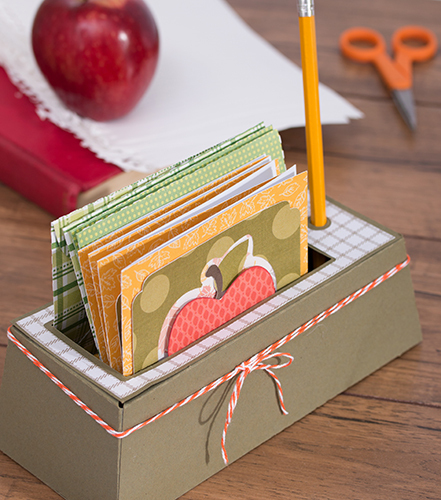 Try re-covering a card box with desired prints from the Autumn Leaves stack to create the box.